Skin care based on ethnicity? Just read a very interesting article in Allure magazine, called “Skin Deep”. The article talks about how each ethnic group has specific skin types, and the best product for each. Some of the bullet points – Black skin makes more pigment, thus more scars. Also,skin doesnt wrinkle as quickly – but it does sag. They recommend: Olay Regenerist Night Recovery Cream, and Aveno Ultra Calming Foaming Cleanser (which I am currently trying now). White Skin: Sun damage and skin cancer is biggest problem, fine lines begin earlier as collagen and elastic tissue begin to wear. They recommend: Olay Definity Illuminating Cream Cleanser, Lancome Absolue Night Premium Bx. Latin: they have a mix of all the different ethnicities. 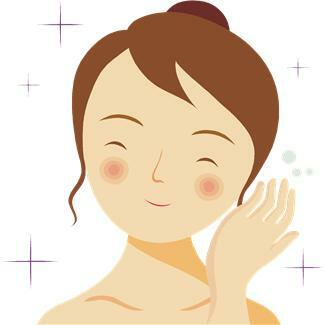 They recommend: Neutrogena Rapid Clear Treatment Pads, EltaMD Skincare UV Clear SPF46. This is the first skin care recommendation I read in a magazine that makes sense to me. While all skin is different, and I’m sure there are deviations in their charecteristics, it seems logical that my skin is more similar to those that share the same heritage as me. I’ve tried so many products that were recommended by Allure, Lucky, Glamour, etc.. and most of the time, they dont give me the results that people in magazines are raving about, which is why I am so excited to try my ethnicity based skin regimine.. I bought every single product they recommended – I’ll keep you posted! 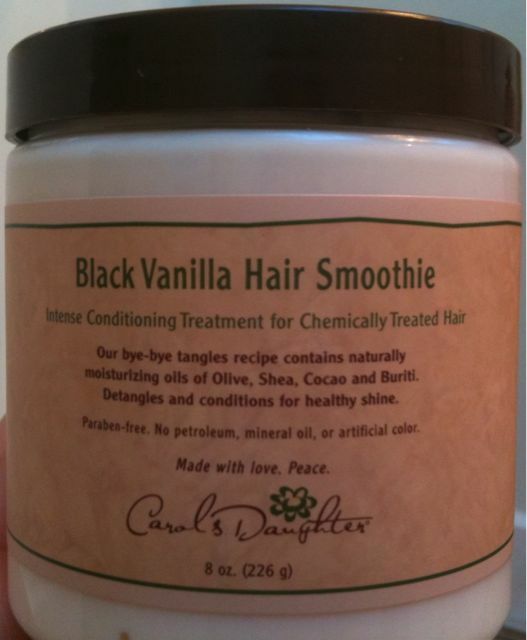 I’ve been experimenting with deep conditioners and I really like Carols Daughter, Black Vanilla Hair Smoothie. The consistency is very thick, and it really holds onto the hair when you put it on in the shower. End result is much softer, more hydrated hair. Less brittle and dry! One thing I will say about Carols daughter is that some of their products are a little funky smelling, like African incense- but this one is much milder, like a light vanilla extract, and I really feel the difference in the overall health of my hair. 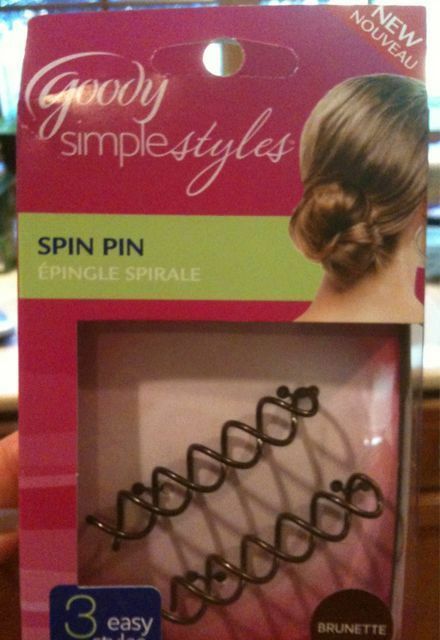 What a clever little hair pin! It’s surprisingly easy to put it in and take it out of hair, and two of them will gather a full shoulder length head of hair into an up-do! I have really thick African hair (you can’t pull your fingers through) so I was sort of shocked when I was able to get this thing OUT of my hair. The twisty action manages to grab so many bits of your hair that you only need two to hold even a longer head of hair twirled up into a bun. It’s sort of magical in it’s simplicity! Six ingredients – Milk, Rice, Sugar, Eggs, Salt, Natural Flavors. This has got to be one of those products that you’ve probably slept on. You’ve seen it in the dairy section since you were a kid, but have you tried it yet? If you have, you are a loyal follower – like me. Eating it, loving it, on a daily basis. Just good rice pudding. Like homemade. Not too sweet, perfectly creamy, with great texture. If you like rice pudding, it doesnt get much better than this. When a candy bar costs you 5 dollars, that doesn’t neccessarily mean it’s going to be delicious, but it better be. 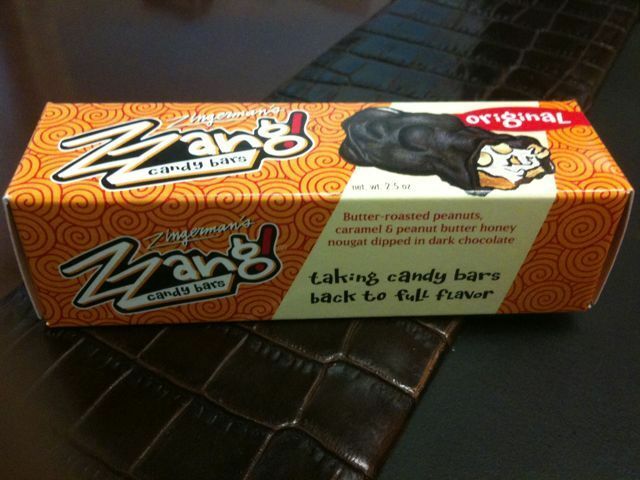 When I ate this, I wanted to shout Zzang Gina! (wow that was lame) but I’m just trying to emphasize, somewhat cheesily, that this thing was delishy. I heard Rachey RayRay yummos these to death, so I had to give em a try. What makes it so good is the caramel, it tastes like homemade, sort of burnt caramelization, not that processed light sugary snickers fake stuff, it’s the real deal. The ingredients list is simple- all real quality ingredients. Sometimes candy bar chocolate is as bad as those waxy choco-coins you used to eat before you ever really understood what real chocolate was supposed to taste like, this stuff is perfect, nice dark and rich. Worth the $5! I wish this wasn’t true, in fact, I wish the lady sitting next to me on the train as I write -was not one of these people. It’s offensive, painful, and when we experience a NY heatwave – it’s downright nauseating.. So today’s review is on powerful deoderants/antipersperants. Actually even too powerful for me to use regularly, but gets the job done. 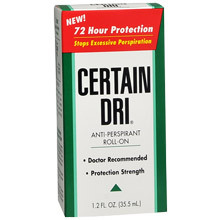 The product, Certain Dri, certainly will keep your pits as dry and cool as two blocks of dry ice. They should have a commercial where when the guy lifts his armpits, cool air conditioned vapors come out.